Make your house or building look its best with Sound Cleaning residential pressure washing services. Sound Cleaning can pressure wash your exterior grounds and house by pressure washing away moss, algae, dirt, debris and other particles. If you are looking for a residential pressure cleaning services company, Sound Cleaning Resources will get the job done right. What can be removed from residential pressure washing? Residential power washing removes moss, algae, dirt, debris and other particles. It is a great way to brighten up the surface of a driveway, deck, roof, siding, patio, sidewalk and more. 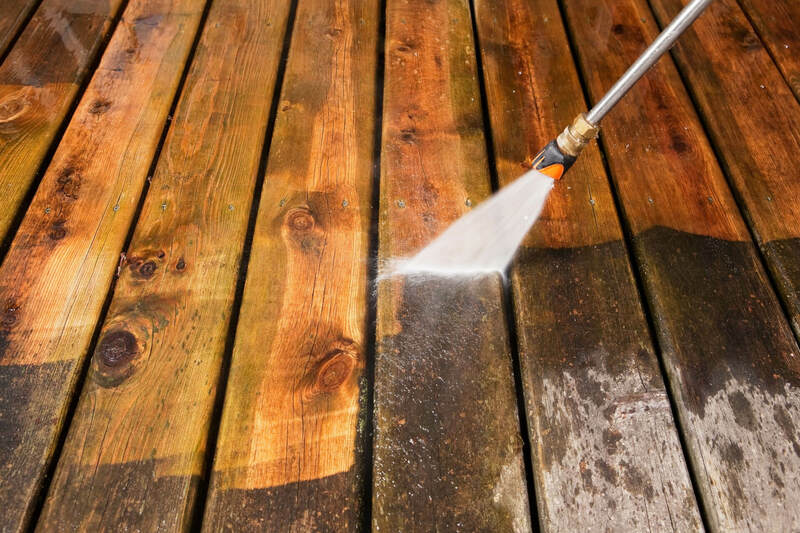 Why use pressure washing services? Pressure washing removes moss and algae that can eventually deteriorate the surface and leave holes. Regular service can prevent moss and algae from growing. Of course we take every precaution not to damage wood grains. What kind of equipment do you use for residential pressure cleaning? We use portable/truck/trailer mounted pressure washers up to 4000 PSI, hot and cold water, surface cleaners, high capacity water tanks, extractors and detergent/degreaser injectors. The variable PSI with hot water allows us to use industrial strength power and/or hot/cold water in the tougher areas and delicate pressure and/or hot/cold water in the fragile areas. Do you have references specifically from other residential pressure cleaning customers? How much does it cost for residential power washing? Prices can vary based on square footage, height and degree of soiling. Call us at (425) 451-3337, click here for an online estimate form or email us at info@soundclean.com for a free customized estimate.